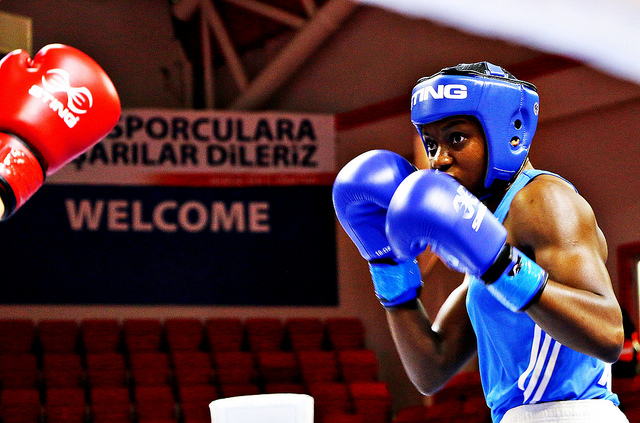 Nine members of the GB Boxing squad are one win away from qualifying for the Olympic Games in Rio following victories in yesterday’s quarter-finals in the European Continental Qualification Event in Samsun, Turkey, 7-17 April 2016. The nine boxers that will be competing for a place at Rio in tomorrow’s semi-finals are: Nicola Adams, Galal Yafai, Muhammad Ali, Qais Ashfaq, Joe Cordina, Antony Fowler, Joshua Buatsi, Lawrence Okolie and Joe Joyce. Tomorrow’s semi-finals and the finals and third-place box-offs on Saturday and Sunday will be shown live on the BBC’s red button service, online and connected. Only two qualification places are available for women, so the reigning Olympic champion, Nicola Adams, will need to win her semi-final tomorrow against Marielle Hansen of Norway of France to guarantee a place at Rio. If she is not successful, Adams will have a second opportunity to qualify at the forthcoming Women’s World Boxing Championships in Kazakhstan (19-27 May 2016). Three qualification places for Rio are available at each of the men’s weight categories at this tournament so any of the eight men from Great Britain that win their semi-final tomorrow will secure a place at the 2016 Olympic Games. Any that lose will have second opportunity to qualify in a box-off for the third qualification spot which will take place on Saturday 16th or Sunday 17th April. These will also be shown live on the on the BBC’s red button service, online and connected. Full details of the BBC’s coverage is listed below (timings for all of the bouts are approximate). Results will be posted at www.gbboxing.org.uk and on Twitter at @gbboxing.